Ladybirds have captivated me for decades. I am not alone. Thousands of people have sent records of ladybirds to the UK Ladybird Survey and in doing so have contributed to our understanding of these incredible beetles. 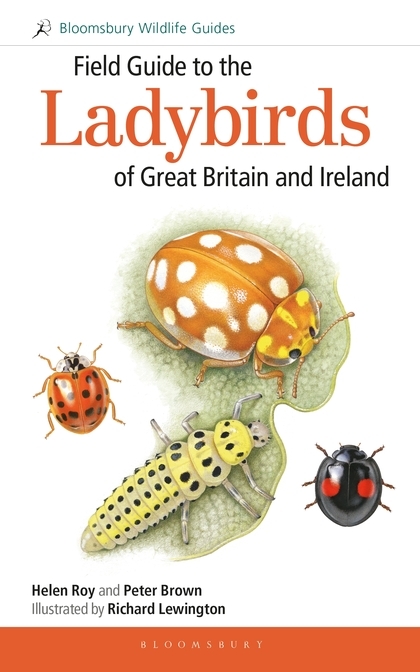 In our field guide we celebrate the wonderful world of ladybirds, but we also thank the ladybird-recording community who provide unique and inspiring insights into this world. 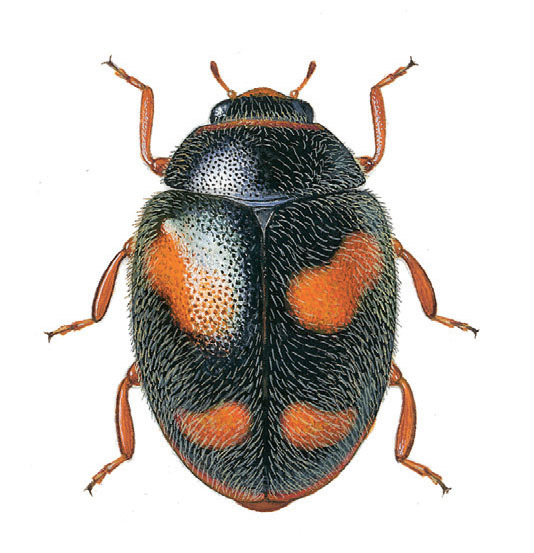 There is no doubt that we still have much to discover, particularly about the so-called inconspicuous ladybirds (the small, indistinct, slightly hairy insects that would not be recognised as ladybirds by many people). 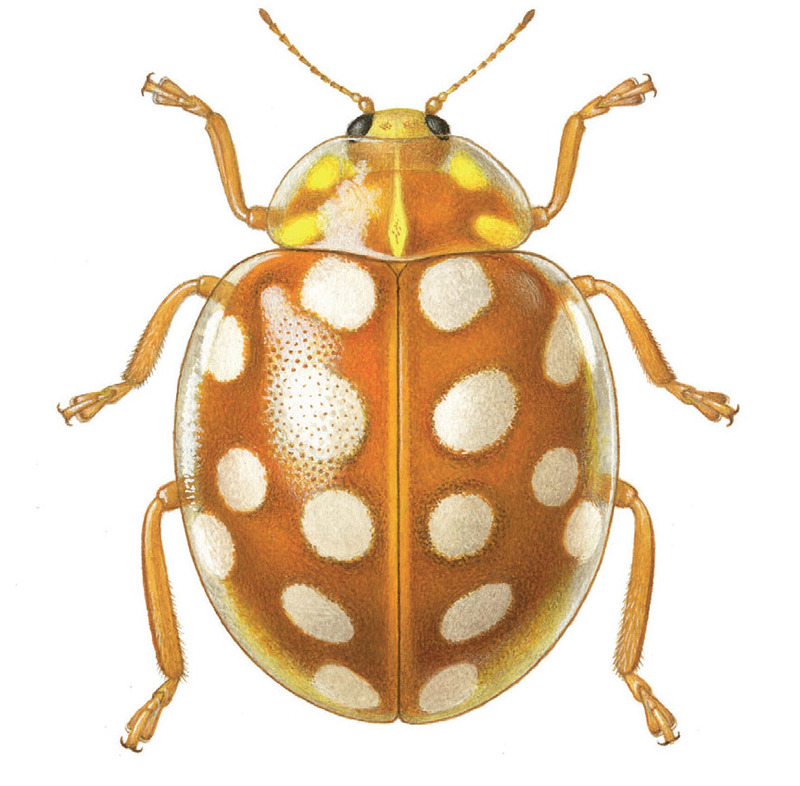 Indeed, as we completed the field guide it became apparent that a new little ladybird was resident in the UK: Rhyzobius forestieri. Richard Lewington’s captivating illustrations will undoubtedly widen participation of ladybird recording to include these tiniest of ladybirds. It is so exciting to think what we can achieve together. Here’s to the next 200,000 ladybird records! I get immense pleasure from exploring ladybird records; Peter and I (alongside many collaborators) have been able to use the UK Ladybird Survey dataset to address many different ecological questions. 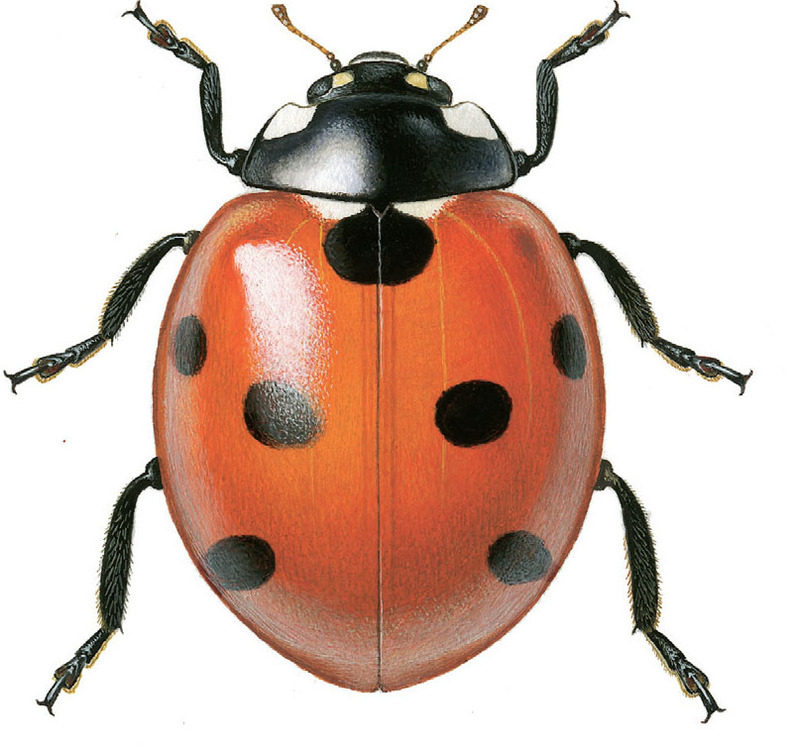 Consequently, we have written many articles and several books on ladybirds since we first began collaborating in 2005. It’s always fun working alongside one another, so we were delighted to be approached by Richard to work with him on this field guide. Whenever we all met, we would begin by looking at Richard’s latest illustrations. We learnt so much from the detail he captured; indeed, Richard enriched the species accounts with additional details that had gone unnoticed by us. I have several favourite species and it was particularly exciting to see the illustrations of these: the stunning, mildew-feeding Orange Ladybird Halyzia sedecimguttata, bordered by translucent margins; Nephus quadrimaculatus, a tiny hairy ladybird that we call Four-Spotted Nephus in the guide, and which sparkles in the sunlight on ivy; and the widespread 7-spot Ladybird Coccinella septempunctata, the focus of my PhD studies and a species of which I never tire, despite endless hours of observation in the laboratory. In fact, there is something special about each and every one of the British ladybird species, and we have done our best to convey this in the book. We hope readers will get as much enjoyment from this field guide as we had in producing it. I felt a slight sense of sadness when we delivered the final text but that gave way to excitement when I saw the published book. Now over to you – we have learnt so much from your records, questions and fascinating observations; I’m looking forward to our next collaborative adventures. Thank you all. Field Guide to the Ladybirds of Great Britain and Ireland by Helen Roy and Peter Brown is out now, published by Bloomsbury Wildlife. Illustrations by Richard Lewington.